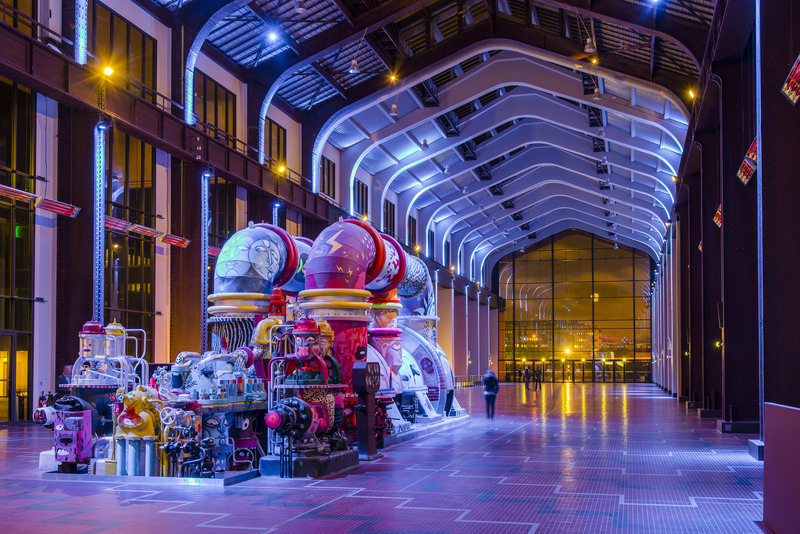 Dive into the universe of cinema at the heart of this former electric power plant transformed into a temple of the 7th Art by Luc Besson at the turn of the 20th century. On the agenda : Studios’ Ave., School of cinema, decoration workshops and 1001 stories and shooting anecdotes. All this will let you understand the different faces of the film industry shown at La Cité, which are mixed up and pushed by the same energy and passion. 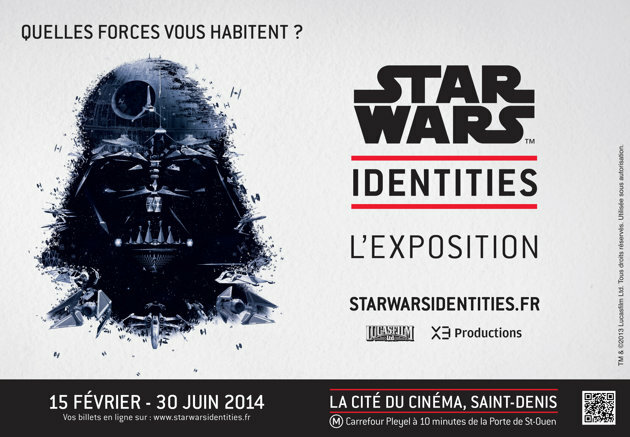 Starting from February 15, 2014, discover the characters of Star Wars in a different light. 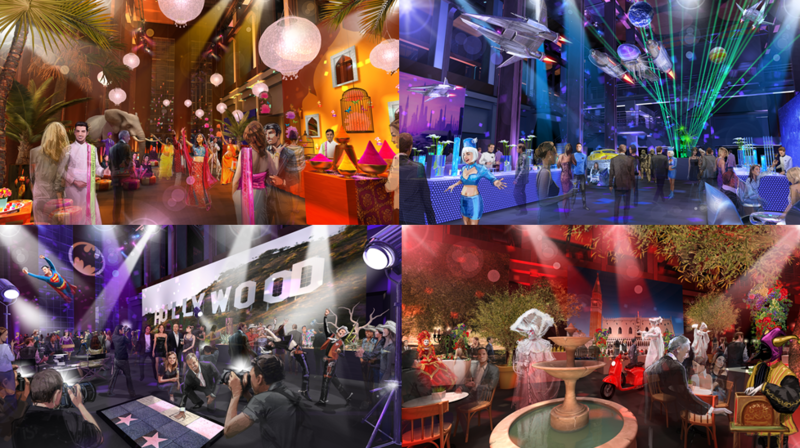 Explore nearly 200 costumes, accessorizes, models, concept art Star Wars Identities. 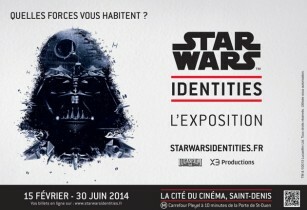 But this is not just an exhibition; Star Wars Identities explores the theme of identity through ten of its components: species, genes, parents, culture, mentors, friends, events life, profession, personality and values. A fun to do with family or friends quest. National Meetings for equal opportunities is still a success ! 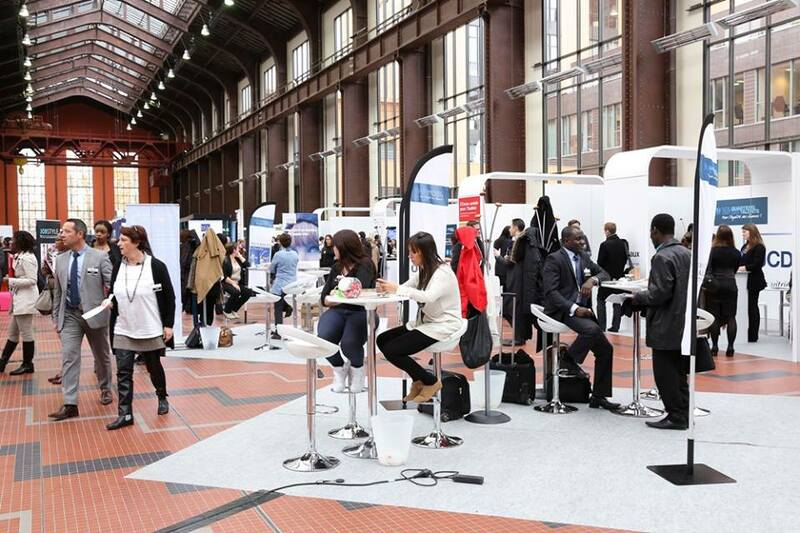 November 27, 2013 was held the 4th edition of the National Meeting for Equal Opportunities of “Nos Quartiers ont des Talents”. 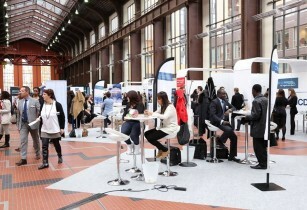 3000 young graduates and nearly 40 public and private partners met up in the Nef. The goal of this meeting was to promote equality of opportunity in receiving counseling, expectations and business requirements, and for some to obtain their first job. 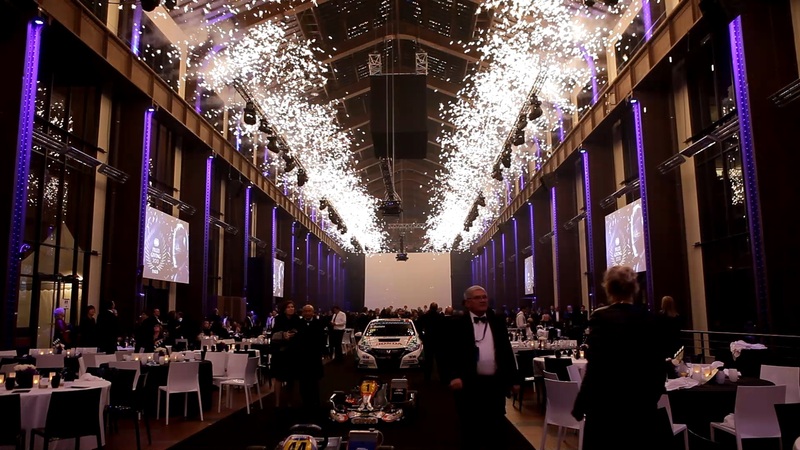 The last 6thof December, the Fédération Internationale de l’Automobile, chose the warm and spectacular NEF to organize his annual “FIA Prize-giving”. 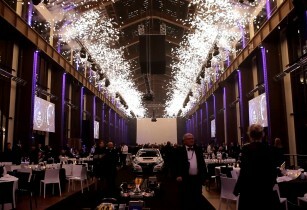 Event was rhymed by a lot of displays like: an aerial stunt performed by professionals for the opening dinner, the screening of short film with famous car riders, Moulin Rouge’s dancers, a pyrotechnic show and for after party the Dj KAVINKSY.At the heart of 4280 m² of Nef, gala dresses and blow ties was welcoming. Nadia, Léa and them friends wait you for a trip in the heart of the CITE DU CINEMA. We will have you a rendez-vous in the hall 4 on the stand SE103. « The true is in this company, design makes authority” Glenda Bailey, chief editor of Harper’s Bazaar’s magazine. In this new episode “Liberating” from Kering Stories, Garance invite us to immerse into the design’s world and find out the external’s experts vision as vision of Stella McCartney, Isabelle Guichot, Michele Sofisti et Ryan Immergart. 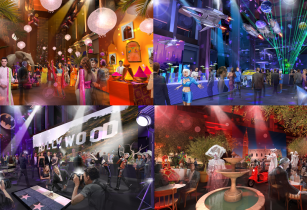 Discover another face of this creativity with the amazing “Cite du Cinema” of Luc Besson, a school with Coppola of tomorrow and whose Kering is a partner. For 2014 winter, the Nef is covering up against cold! 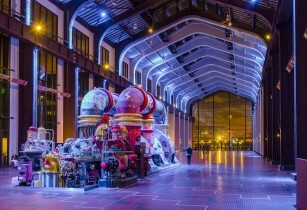 The glass roof is equiped by thumbscrew to remove smoke.To avoid the cold air interfere with your events, the Cite du Cinema close this invisible part of the Nef. 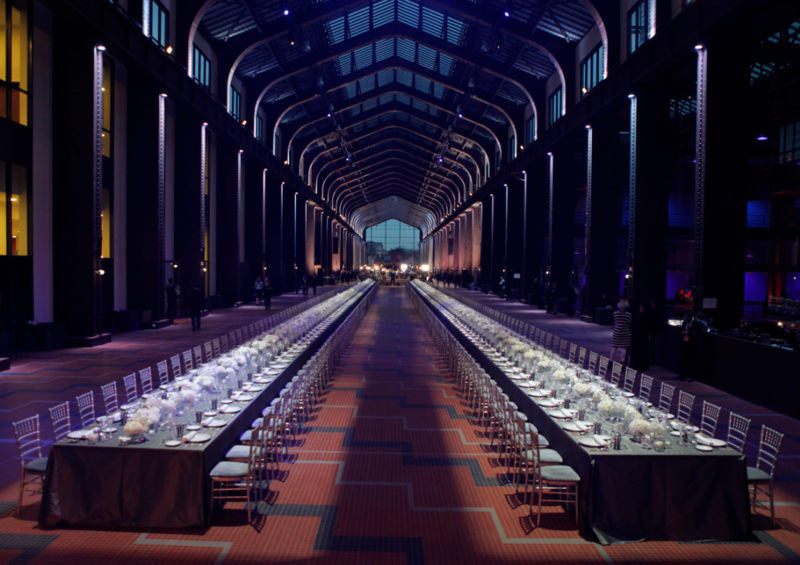 In this way, welcoming events will have the place of honour ! 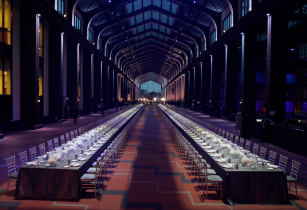 Beautiful dresses and suits will be required, coats and scarfs tidy up to the cloakroom. Come in our family ! 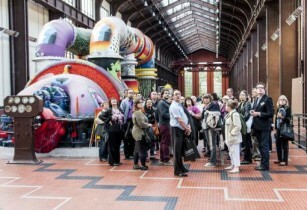 The Cite du Cinema organize tours of one hour per 30 peoples in the heart of our new french movie’s temple. Follow the guide and discover a french industrial heritage. That site gathe all the jobs of cinema : set creation, production, filming and schools. 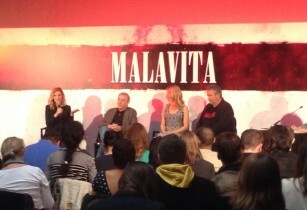 Malavita press conference at the Cite du Cinema ! The 16th October 2013, the press conference of the new movie of Luc BESSON was organized. 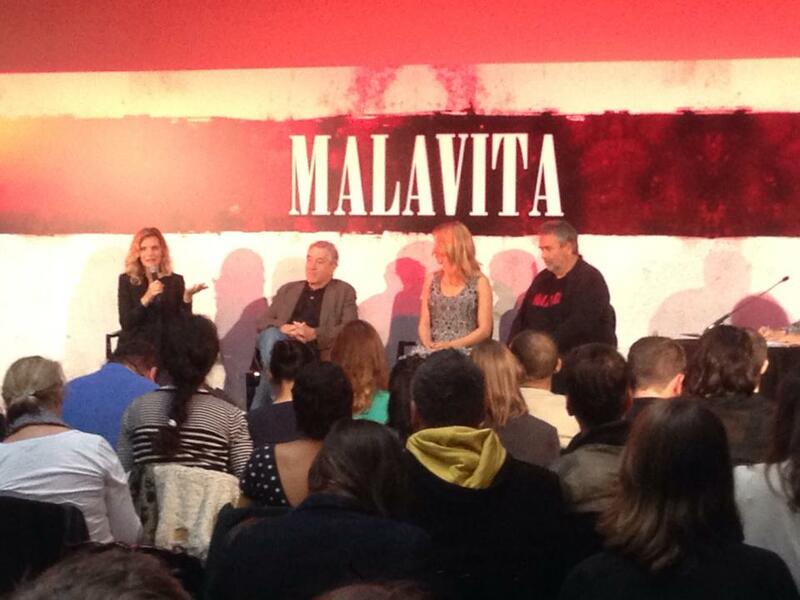 Malavita team with Robert De Niro, Michelle Pfeiffer and Dianna Agron was invited to speak about the movie. Hollywood actors were gone to the preview at the first Europacorp Cinema at Aeroville, inaugured for the event.